KRANUNION, with its brands KIROW KOCKS and ARDELT, recently celebrated its 400 years combined anniversary. It has successfully managed a handover in senior management positions, combining experienced managers from within the industry together with external expertise. This strategy, combined with the joint KRANUNION sales approach of KOCKS and ARDELT that has been in force for the last two years, is starting to pay off. Part of the new approach is to combine the sales forces of ARDELT and KOCKS and, in doing so, strengthen the responsibility of the international sales representative offices in KRANUNION’s core and target markets. KRANUNION will also focus on specific industries, mainly within the maritime sector. The Brazilian office, founded approximately one year ago, secured its first order for one KRANICH 1000 for the Shipyard Estaleiro Rio Grande ERG2 in the southernmost state of Brazil, Rio Grande do Sul, to be delivered and ready for operation in January 2015. Hartmut Seifert explains that, “The close co-operation between the ARDELT team in Germany and the KRANUNION sales office in Rio de Janeiro was the foundation for the receipt of this order”. 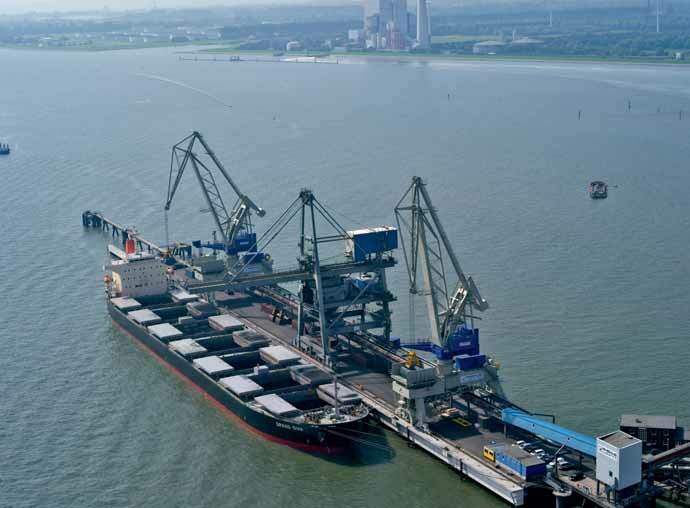 In former times Kranbau Eberswalde, the predecessor of ARDELT, has delivered more than 2,700 harbour cranes to the CIS countries. KRANUNION will continue this success and will expand the KRANUNION office in Saint Petersburg, while employing a renowned sales director and an additional service engineer. The international sales activities together with the highly skilled support of the product companies at Eberswalde (ARDELT) and Bremen (KOCKS) have translated into an order intake for the first five months of €58.5 million, equating to 40% above budget.